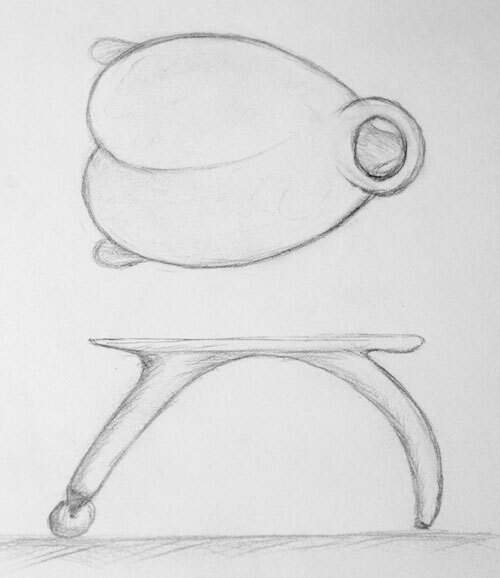 This drawing has all the major components of the table; an insect-like form with wings for the top surface and a head that functions as a lifting hole. The front leg has an arched curve ending in a rubber cane tip. The back legs extend beyond the top to give the Fly Table a feeling of forward motion and alertness.